The administration of the Russian President has agreed that the Hadji Murad’s skull should be transferred from the Museum of Saint Petersburg to Dagestan. The “Caucasian Knot” has reported that in November 2017, at the press conference held by the public committee “Heritage of Leo Tolstoy and Dagestan”, which sought the return of the Hadji Murad’s skull from the Kunstkamera, it was stated that the organization “had been working on the return of the skull since 2010.” Descendants of the Shamil’s naib (deputy) want to bury the Hadji Murad’s skull together with his remains in the grave in Azerbaijan. Hadji Murad, a participant in the liberation struggle of the Caucasian mountaineers, was the Imam Shamil’s naib during the Caucasian War. However, in 1851, there was a breach between Shamil and his naib. 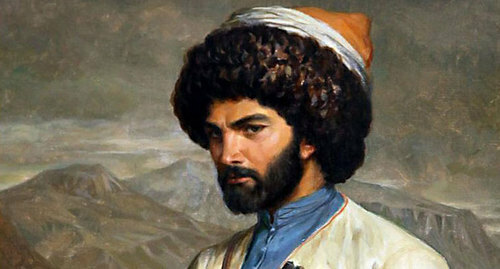 Hadji Murad fled to Chechnya and was killed in 1852. After his death, his head was cut off and sent to Petersburg. To bury the skull, Dagestan will have to negotiate with Azerbaijan, and that may cause emotional discussions, historians suggest. “I thank Russia President Vladimir Putin for support. This is a landmark event for the peoples of Northern Caucasus and all those who believe in justice,” State Duma member Gadjimurad Omarov wrote on his Facebook page. This article was originally published on the Russian page of 24/7 Internet agency ‘Caucasian Knot’ on January 24, 2019 at 05:55 pm MSK. To access the full text of the article, click here. See earlier reports:Experts associate interest in Hadji Murad in Dagestan with his image of hero-liberator, Unique documents on Denikin’s talks with mountaineers brought from France to Chechnya, Book about Gaidar Bammat presented in Dagestan.